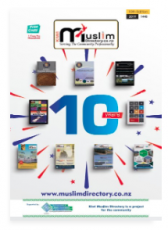 Kiwi Muslim Directory is Free and is available at all Islamic Centres and Halal Butchery. We can mail you a copy for $5 to cover the postage costs. any support is always welcome.